It’s Cold - Let’s Start Planning Your 2019 Tropical Getaway! It’s Cold – Let’s Start Planning Your 2019 Tropical Getaway! Ready to get out of the cold? If the winter months are starting to lose their magic and turning into a gloomy, never-ending, Narnian winter then maybe it’s time to start planning your 2019 tropical getaway! If climbing a volcano sounds better than climbing over a mound of snow, Secrets Papagayo resort in Costa Rica could be the perfect destination for you. For your honeymoon, destination wedding, or romantic getaway, enjoy the Unlimited-Luxury® of their accommodations and the riches of the surrounding nature of this Central American gem. Costa Rica offers so much for for adventure seekers. And staying at the adults-only Secrets Papagayo resort makes it easy to explore the area. Enjoy the water by surfing, jet skiing, and scuba diving. And if you want to explore the surrounding rainforest mountains hop on a motor ATV or a mountain bike or even a horse in nearby horseback riding! Then finish off the day with a stunning sunset cruise. And if you simply want to enjoy the resort there are so many luxurious options, you never have to leave. Whether you’re looking for yoga, cooking lessons, or shopping for upscale jewelry and arts, you will find plenty of ways to spend your time. 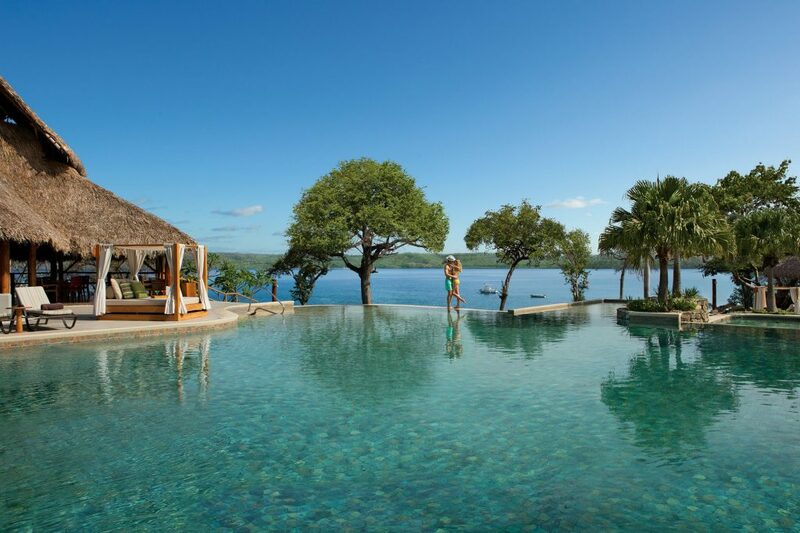 On top of all that, Secrets Papagayo offers gourmet dining and a world-class spa. If you want to travel so far away that the snow and ice seem like a distant dream, LikuLiku Lagoon in Fiji truly offers that escape. LikuLiku means “calm waters” in the Malao dialect. From the ocean, it looks like you are traveling back in time to an ancient island tribe. But the accommodations are anything but primitive. 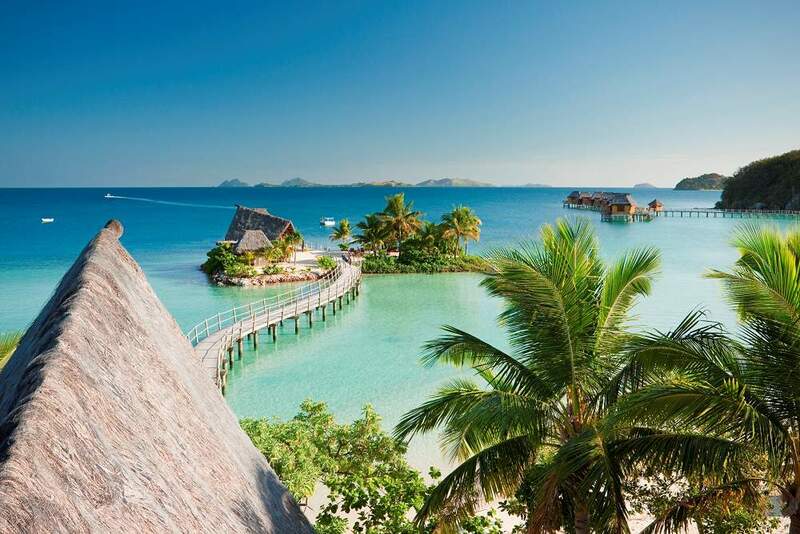 The LikuLiku resort offers 10 private overwater bungalows and 35 beach bungalows, each with their own private porch for a romantic sunset view. It offers its own in site spa. Every room is luxuriously designed, some even with their own private plunge pool. Surrounding the island is over 3,000 square miles of coral reef teeming with tropical fish, sea turtles, and colorful anemones. On the island there is a lush rainforest with mangrove glades and fig trees. LikuLiku offers so many ways to explore the natural beauty – from stand-up paddle boarding, to wind surfing to snorkeling. LikuLiku is a great option to consider for your destination wedding, honeymoon, or romantic trip! When considering your 2019 tropical getaway, do you want year-round sunshine, beautiful ocean backdrops, and plenty of natural wonders to explore? Whether you are looking to plan a destination wedding or honeymoon, Aruba is a spectacular choice. For your destination wedding location, if you are looking for a barefoot wedding on a white sand beach next to the signature curve of a fofoti tree or a quaint gathering in a European-inspired town, Aruba has it all. This self-proclaimed “happy island” offers numerous boutique resorts so that newlyweds can find a unique destination for their romantic destination wedding. 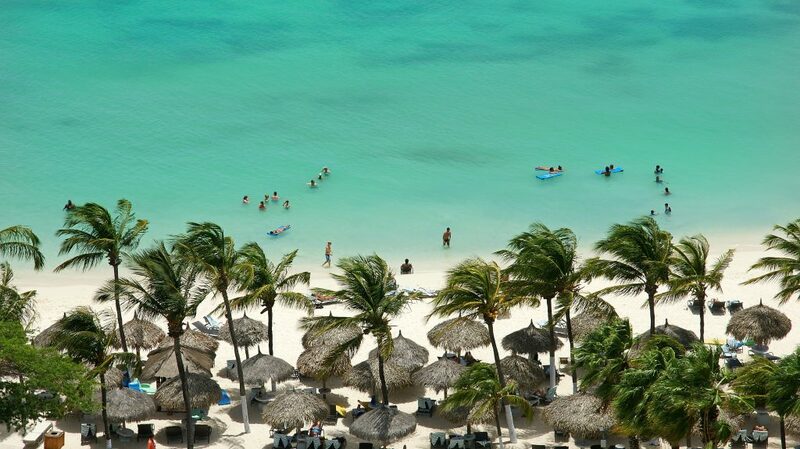 Or if you are honeymooners who simply want to sunbathe in perfect weather on the beach, Aruba is the perfect spot. Aruba lies outside the hurricane belt which offers near-perfect weather year round. And there is so much to do on this happy island for every romantic couple. The huge Carnival festival is a time when the whole island celebrates together with floats, music, and light parades! There are so many iconic natural wonders to explore here too: from Hooiberg hill (Aruba’s volcanic mountaintop), the Fontein Caves, and the Natural Pool, as well as natural bridges and rock formations. If you want to hit the ocean, choose between windsurfing, snorkeling, and water skiing on Malmok Beach. Combine all that with variety of dining experiences, nightlife, shopping, arts and culture, and you won’t run out of things to do. 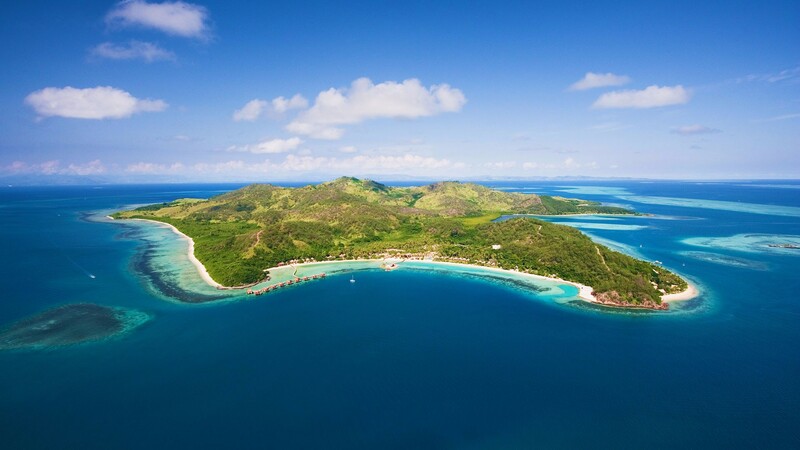 Let the warm sun of Costa Rica and Fiji and Aruba soak into you and defrost your icy limbs. If you’re interested in these destinations for your honeymoon or destination wedding, give us a call! We would love to help you plan your 2019 tropical getaway trip of a lifetime.